Satan is definitely one of the most fascinating aspects of the Christian religion. He really seems like a pure alternative to God with about the same power. Whenever I’m explaining to a Christian a contradiction in the Bible or the lack of historical evidence for Jesus, I’m told that Satan has tricked me into believing that there are contradictions in the Bible. Satan seems to be such a busy guy. He’s constantly out there tricking us and hiding God from us so that we will spend eternity in Hell with him. He’s such a scary character to Christians. Recently, Supreme Court Justice Antonin Scalia mentioned that he believes in Satan and that Satan is a real person (as a sidenote, this kind of terminology always makes me laugh in that I guess Satan is also a primate with 2 arms and legs and 5 fingers and toes) and I assume he believes that Satan is responsible for all the evil in the world. I was watching a scientist on the Creation Today channel talking about the lack of evidence for evolution and the subject came up about who invented parasites. They were giving the credit to Satan as a result of the Fall of Adam. But where does Satan get all this enormous power? He’s omnipresent (at least on earth – and I assume in space/the moon when humans travel to space/the moon) or else how could he be tempting the whole world at the same time? I’ve even heard that the early church fought off arguments that Jesus was just another dying and rising god like the other mystery religions by claiming that Satan knew Jesus was coming so setup these religions to proclaim dying and rising gods in order to cloud the legitimacy of Jesus dying and rising. So now Satan is essentially a god himself. He’s got almost all the aspects of God. Except that we are told he’s weaker than God and will be resigned to eternal jail in Hell when the end comes. You have to wonder why God, the creator of everything, decided it was important to create Satan and demons. 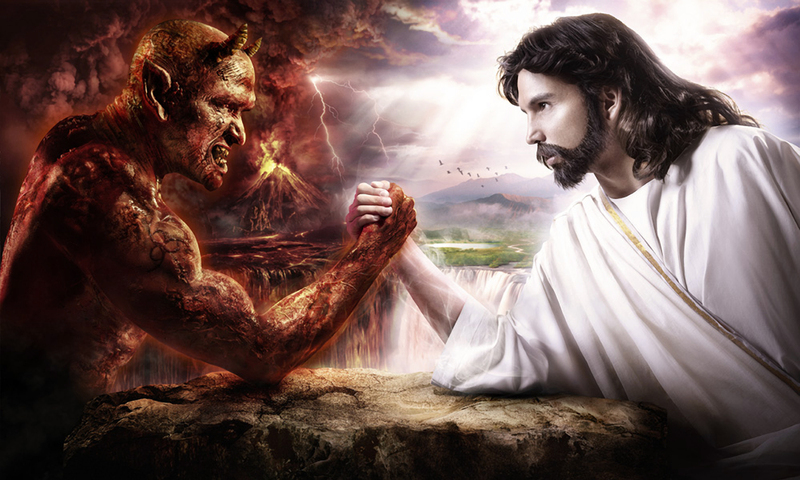 Is Satan really necessary to have free will? If so, how did Satan fall away from God without his own Satan?